When we started out 30 years ago we could never have believed Fforest Fields would become what it is today. Starting a campsite was our way of staying rooted in this extraordinary area, we saw it as an aside to farming but over the years it has grown into our life’s work. We think that it’s the people who make it. Every year we welcome good folk, who want to relax or adventure in the beautiful countryside we have on offer here. We don’t have rules, we just ask that you think about the following while staying on site. Respect your neighbours, remember that everyone here is staying for a different reason, keep your noise to a minimum and don’t play loud music at any time. If your dogs are yapping then please help them settle. Remember our passion for Silent Nights, keep your noise to a minimum after 10.30pm and whispers only after 11.00pm. If we ask you to settle down after that then please do – we are here to help everyone have a great stay and we believe in the power of a good night’s sleep! Drive slowly on site, there are children and adults playing, daydreaming, thinking about their tea and not always aware of cars on site. Stopping on gravel is different to stopping on tarmac and you may well slide if you are going too fast, please slow down to 5mph and be aware of those around you. Please ask your children not to play too close to other people’s pitches, there are wide open spaces on site and a whole farm to explore – a stray football bashing a tent or little cyclists dashing through encampments is to be discouraged. Keep your dog on a lead on the site and make sure you pick up after them (and encourage your children to do the same if they are having an adventure with the dog!) We have 500 acres of land where your dog can run freely and lakes they are welcome to leap into, but do be mindful of fields of livestock and keep your dog under control. Don’t forget that we ask you to be quiet after 10.30 pm and before 7.30 am! Very occasionally we’ll get a troublesome group or visitor, we will always try and guide people towards fitting into the community and creating a harmonious atmosphere on site but there are clashes from time to time. In our 30 year history we have only asked a handful of visitors to leave early due to disruption and it has only ever been after a conversation and a number of ‘chances’ but we reserve the right to refuse your stay if you don’t want to listen to our concerns. 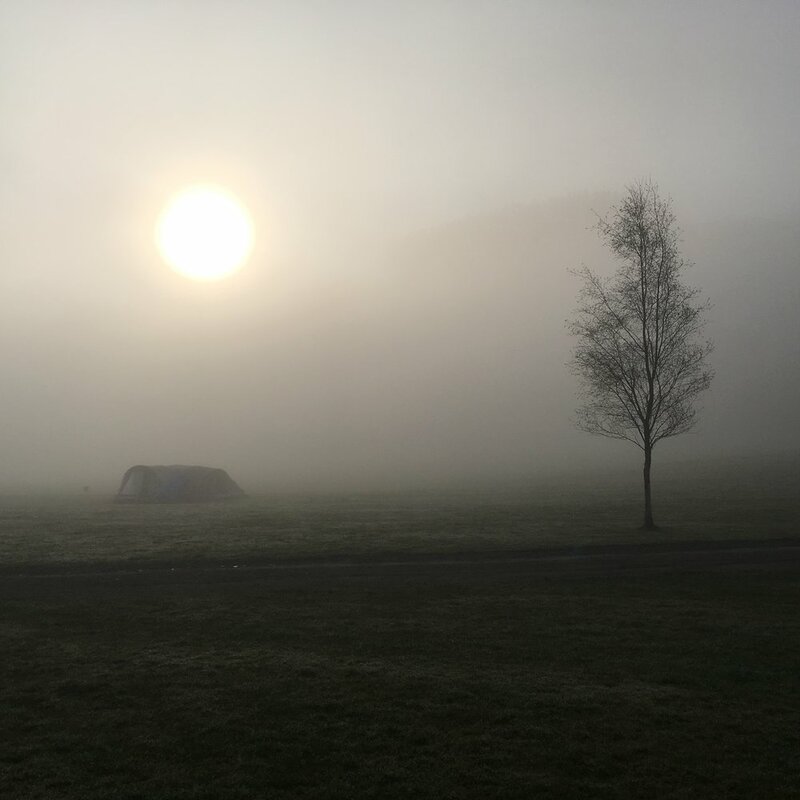 We understand that you are on holiday and want to help you have the best stay possible but our duty is to the campsite as a whole and we need to be firm and fair if there is any unwarranted disruption. We reserve the right to refuse future bookings based on previous behaviour on site, rudeness to our staff or disregard for the community here at Fforest Fields. Our team is very dedicated and will be ready to help if you are dissatisfied in any way, we ask that you work with us to resolve any issues – respect and understanding will be met with the same.